Yahoo is in the final stages of selling a large chunk of its stake in the Alibaba Group back to the company — in a complex deal that is set to include a multibillion-dollar share buyback to investors of the Silicon Valley Internet giant and an eventual IPO of the Chinese company — according to multiple sources close to the situation. The deal has yet to be officially approved by the boards of both companies, but sources said it is likely to be, and could be announced as early as Monday. This all could change, of course, since negotiations between Alibaba and Yahoo have taken place in a variety of ways in recent years, without success and with much acrimony. Talks over a tax-free deal — also involving Yahoo’s Japanese partner, SoftBank — collapsed in February, for example. 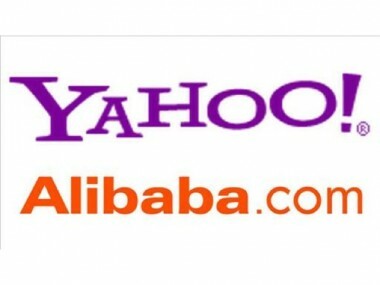 Yahoo will sell half of its roughly 40 percent stake in Alibaba, in a taxable deal. The transaction is likely to value that portion of Yahoo’s holdings at about $7 billion — or 20 percent of Alibaba’s $35 billion enterprise valuation. Alibaba is in the midst of raising capital to fund the sale. After taxes of upward of 35 percent are paid on the long-term gains — remember that Yahoo bought the now-lucrative Alibaba stake for a fraction of that, many years ago — the company will likely use the funds to buy back its own shares. That stock has been caught in the mid-teens doldrums for quite a while. A shareholder dividend is also being considered. It’s not clear if some of the cash will be held back for acquisitions by Yahoo, sources added, but it is unlikely. As part of the deal, sources said, incentives have been put in place for Alibaba to move forward with a public offering, which sources stressed is without the contractual obligation or a time frame. Alibaba execs have already been publicly indicating such a direction recently, but this will put them more firmly on that path. In return, Yahoo has agreed to sell the remaining quarter of its current holdings when that IPO does occur. It would then have an only 10 percent stake of Alibaba, which it could sell at any time after the IPO. If finally struck, the transaction will finally bring to an end one of the more protracted and disputed relationships in the Internet world. Once close, the pair have been wrangling over the large Yahoo ownership, which Alibaba CEO Jack Ma has been trying to dislodge in a variety of nice and not-so-nice ways. It has resulted in a number of very public disagreements. That included a nasty back-and-forth over its Alipay unit with now-fired CEO Carol Bartz, threats of takeover of Yahoo with private equity firms and, more recently, making friendly with its just-ousted CEO, Scott Thompson. Those talks with him in recent weeks, which included a visit to China by Thompson, led to the new deal, which was negotiated primarily between Yahoo’s CFO Tim Morse and legal head Mike Callahan and Ma and Alibaba’s Joe Tsai. The talks continued even as Thompson was suddenly engulfed in a controversy over a fake computer science degree on his resume that quickly led to his departure from Yahoo on Sunday. Ironically, the error was first discovered by activist shareholder Daniel Loeb, who will now vote on the deal as a newly named director of Yahoo, after successfully helping to oust Thompson. He owns almost 6 percent of Yahoo, and is expected to approve the transaction. But the final decision to approve the deal will be in the hands of a very new board of Yahoo, which has been drastically reshaped in recent weeks. It is meeting tomorrow and perhaps over the weekend to vote on it. While the deal with Alibaba looks to be nearing an end, Yahoo’s talks to sell its 33 percent stake in Yahoo Japan is not part of this agreement. That’s due to what Thompson had called a “valuation gap,” which sources said is still an outstanding issue. New interim CEO Ross Levinsohn has not been involved in the Alibaba deal in any significant way. But he certainly will benefit from its halo effect, if approved, especially given that it will likely boost Yahoo shares. Next up for Levinsohn, who has just rejiggered Yahoo management again, other sources said, is an effort to settle the patent-infringement lawsuit with Facebook, and also to renegotiate its search deal with Microsoft. And, oh yes, fix Yahoo’s rocky core-advertising business, which is still in distress and needs a major overhaul to push it back to growth. But that, as they say, is yet another episode of Yahoo’s ongoing reality show.